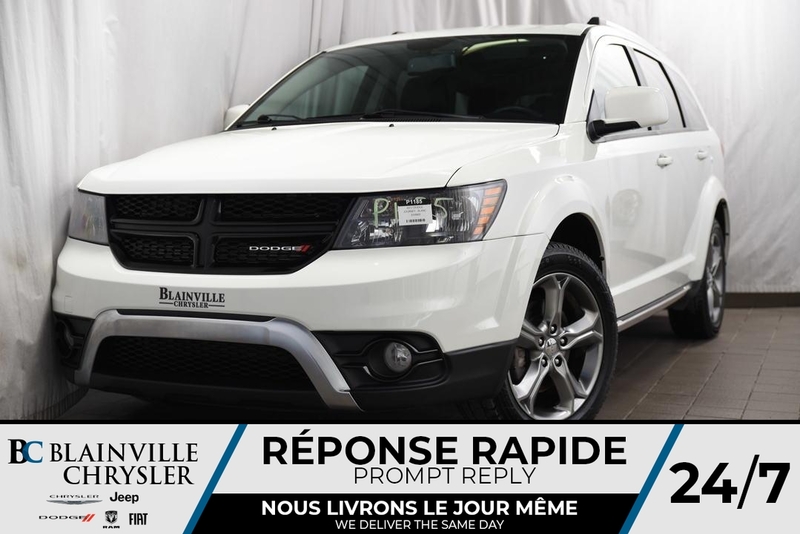 2017 Dodge Journey 75$/SEM + CROSSROAD + 3.6L V6 + CUIR + 1 PROPRIO + JAMAIS ACCIDENTÉ + BLUETOOTH + AUDIO ALPINE + SIÈGES ET VOLANT CHAUFF. JOURNEY 2017 SPACIEUX ET CONFORTABLE POUR SEULEMENT 21995$!! À QUI LA CHANCE?? VIENT AVEC DÉMARREUR À DISTANCE, AWD, BLUETOOTH, SIÈGES CHAUFFANTS, CLIMAT TRI-ZONE, AUDIO ALPINE, ET ENCORE PLUS! !